As many Utahns spend this week remembering the 2002 Olympic Games, KUER News begins a special 5-part series examining Utah’s Olympic Legacy a decade after the world put its spotlight on Salt Lake City. How did the games make us a better community? What did we learn about ourselves? And how will the Olympic spirit continue to exist in Utah? Part one looks back on the euphoria of winning an Olympic bid and a scandal that made our entire city re-examine the choice to host the games. In 1995, some members of the Salt Lake Olympic Bid Committee had spent more than a decade trying to snare the Winter Games. They came within just four votes of getting the 1998 games, but a decision by the International Olympic Committee to hold the 96 summer games in Atlanta all but assured that the games would not return to the U-S just two years later. Now in 1995, Salt Lake organizers felt confident in their bid for the 2002 Winter Games as they gathered in Budapest to hear the IOC’s decision. Then Salt Lake City Mayor Deedee Corradini remembers the anticipation of that night. IOC President Juan Antonio Samaranch stepped up to the podium to announce the host city for 2002. Thousands gathered at City Hall back in Salt Lake to watch moment on live television. “The International Olympic Committee has decided to award the organization of the 19th Olympic Winter Games in 2002 to the city of Salt Lake City,” Samaranch said. Members of the Salt Lake Organizing Committee came home victorious with the games in hand and got to work. Then in 1998, television reporter Chris Vanocur broke a story for News 4 Utah that began to shed light on some of the tactics used by Salt Lake organizers to secure the bid three years before. “This confidential letter was drafted in 1996 by a senior Salt Lake Olympic Official. It’s written to a Sonia Asamba and reads: Under the current budget structure, it will be difficult to continue the scholarship program with you. The enclosed check for 10,000 dollars plus will have to be our last payment for tuition,” Vanocur said in his 1998 television report. Vanocur found proof that Salt Lake Organizers were paying the college tuition of at least six children of IOC members. At first Salt Lake Olympic officials tried to play the tuition payments as financial aid to kids from third world countries, but many of the young people who took the scholarship money including Sonia Asamba came from wealthy families. A senior IOC official then told NPR that the payments amounted to bribery, and a full blown scandal erupted. The International and U-S Olympic Committees, the Justice Department and Congress all launched probing and embarrassing investigations. Former Utah Governor Mike Leavitt remembers first learning about the scandal. “There had been small pieces of information that began to come forward then when the federal government began to get involved and the department of Justice and so forth – that was the moment at which it was clear that this was a… not only complex, but it was threatening to the ongoing viability of the games and I think it was at that point where I felt there was a need for some leadership on this point,” said Governor Leavitt. As IOC members began purging their ranks, Governor Leavitt remembers making a commitment to uncover the facts. “If there were flaws in what we had done, we wanted it to known because we felt like that was the best protection for the integrity and the reputation of the state,” said Leavitt. In the aftermath, then Salt Lake Organizing Committee Chairman Frank Joklik stepped down. But the blame for the bribery scandal became squarely focused on the two men largely responsible for engineering the Salt Lake bid: Dave Johnson and Tom Welch. Both were indicted by the Justice Department on 15 counts of bribery and fraud but were later acquitted of any wrong doing. “Had people kept calm at that time and said yeah, you may not like the process, but we didn’t design the process we just went through it,” said Tom Welch. Tom Welch rarely talks to reporters about what happened, but now more than a decade after the scandal he agreed to talk to me. Welch says he takes responsibility for his role in getting the Olympic bid, but he won’t concede that providing scholarship money or anything else he did was illegal. “Everything that we did showed up on the financial records of the organizing committee. I had to laugh because I look back on it and over the whole 10 year campaign, no one ever asked me if they thought we were doing too much. They were constantly asking ‘Are you doing enough,” said Welch. And Welch claims that nearly everyone involved in the bid process knew that scholarship money was being paid to IOC members’ families. “When the political figures started denying – saying they had no knowledge of it. That’s what created the scandal,” said Welch. “And when you say political figures, do you mean Governor Mike Leavitt, Mayor Deedee Coradini?” said Gildea. “Sure. They were all part of this process,” said Welch. Both Former Mayor Deedee Corradini and former Governor Mike Leavitt deny having any knowledge of scholarship payments before the scandal broke. David Wallechinsky is a noted Olympic historian who has written several books on the games. He believes Welch and Johnson were pulled into a pay to play atmosphere of bribery that the IOC perpetuated during the bid process. Welch and Johnson, they realized "if we’re going to get this, we’re going to have to play the… I would call it the rules, but they of course were unofficial rules. We going to have to bribe people. We’re going to have to give them what they want because otherwise we’re not going to get the vote, and I feel that in that sense Welch and Johnson were very much scapegoated which is why they were eventually acquitted,” said Wallechinsky. In the aftermath of the bribery scandal, as the Salt Lake Organizing Committee prepared to announce the name of its next leader, Governor Leavitt tried to close the chapter of the scandal. “And now at last I call upon our community to unite and to move forward. And we said over a month ago, Olympic corruption did not start here, but today it ends here,” said Leavitt. Then Governor Leavitt introduced a man who had lost a Senate race in Massachusetts five years before, but who many considered to be a corporate super star. His name: Mitt Romney. Before the Olympics came to Salt Lake, polls showed that 45 percent of citizens didn’t want it. Utahns saw what happened with the Atlanta games, where the city was left with unused venues and maintenance costs it could ill afford. But after the 2002 Games, Utah basked in the glow of what some called the most successful US Olympics in history. A decade later, how have the games affected Utah’s economy? A few years before the 2002 Games, the Utah Transit Authority dug a 30 foot hole curb to curb in the middle of Main Street in downtown Salt Lake City. CEO John Inglish stood on a wooden bridge staring into the pit, thinking about how life would change when light rail came to Salt Lake City. “This had been a nice big wide street – not too much bustling activity on it frankly - but I did all of a sudden fear that we had perhaps destroyed something we shouldn’t have,” said Inglish with a laugh. By the time the Olympics came to Salt Lake, the city's 150 year-old utilities were replaced, two light rail lines were built and I-15 was expanded. The changes were made possible by substantial funding from the federal government, but Bob Bennett - Utah’s former US Senator on the appropriations committee – said these projects would have been funded even without the Olympics; the games just moved them up to the top of the queue. John Inglish says the full impact of the Winter Games can actually be seen further down the line. Today, there are four light rail lines, and three more on the way, with much of the funding coming from a sales tax referendum. From Inglish's point of view, the investments made in Utah's infrastructure are clearing paying off. “The economy in Utah is better than about any other state in the nation. Why? Because we have been building infrastructure. And the economy of Utah will get even better now, because while everyone else has been waiting for someone else to help them, we helped ourselves,” said Inglish. In addition to transportation infrastructure, there was also significant public investment in the Olympic venues. 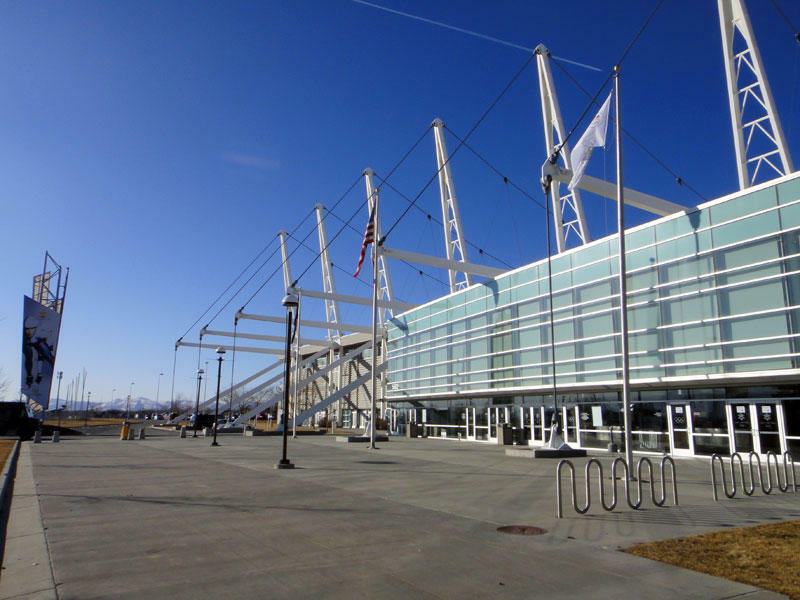 In the 1990's, Utah taxpayers voted to give 59 million dollars to the facilities with the hopes of attracting the games. After the 2002 games, the money was paid back with interest. But how are the venues used today... and what do they cost to maintain? 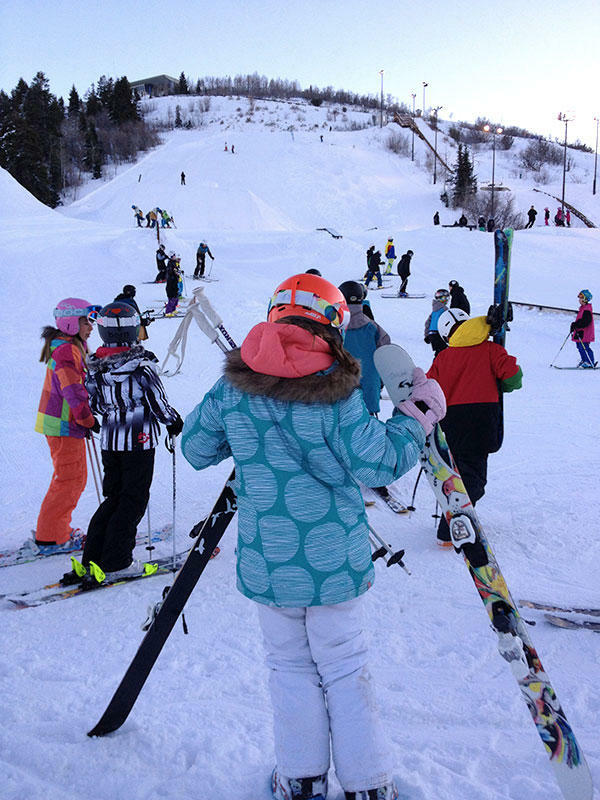 Up at the Olympic Park, on the outskirts of Park City, kids of all ages are strapping on skis. Higher in the hills, the US national freestyle team is training, along with the Australian development team. Colin Hilton is the President and CEO of the Olympic Legacy Foundation. He looks out on the slopes from a meeting room walled by windows. “We are now using these hills more than we ever have in developing our young athletes in the various winter sport disciplines,” said Hilton, “The goal of our foundation has been to use these Olympic venues, so they aren’t just built and then become white elephants." According to Hilton, the venues have doubled the participation from 10 years ago. Now they get 300,000 visits a year at the Park, and half a million at the Olympic Oval in Kearns. But does all this participation bring in revenue? “Most people don’t realize most of these sporting facilities don’t even come close to breaking even,” Hilton says. The venues are subsidized by a 76 million dollar endowment left after the 2002 games – a fund that was diminished when the markets crashed in 2008. The Legacy Foundation is drawing on that endowment to make up a 4.5 million dollar annual deficit. Hilton estimates the venues have about a 20-year life expectancy at the current spend rate. The foundation is trying to find a model that will work in perpetuity without cutting programs. So if the venues are well-used but losing money - what did Utah really gain from the Olympics? Former Governor Mike Leavitt says the Winter Games gave the state a brand. “I traveled a great deal as governor and before the Olympics I would have to explain where Utah was. After the games I would just say: Utah, you remember the 2002 Winter Olympic Games – ‘Oh, Yes. I remember.’ We were now identified with this powerful symbol and people had something that set us apart,” said Leavitt. Tourism officials will tell you, that brand adds up to real dollars. Leigh Von Der Esch is Director of the Utah Ofﬁce of Tourism. She said tourism spending has gone up 2 billion dollars in the 10 years since the Olympics. “It’s not just ski tickets, although we're trending upwards in market share in the number of ski tickets that we're selling, but also national parks visitation. And also foreign visitation has increased steadily. It hasn't hurt to have Delta put in the international flight to Paris. But The Germans, The Scots, the Italians, the Brazilians, all of them saw Utah and got in interest in saying hey I’d like to go there,“ said Von Der Esch. Now when John Inglish thinks back to the moment before the Olympics, when the UTA dug up Main Street, it brings tears to his eyes. 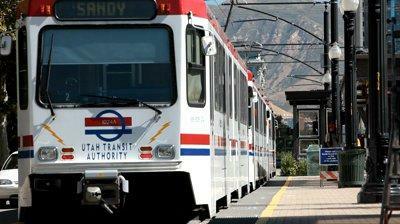 “Today I think that has helped to create a whole new dynamic in downtown Salt Lake. You’ve got a much more intimate main street. You've got a massive construction now that is changing the way people live and enjoy the city. It’s a wonderful thing to look back now and say maybe it wasn’t a bad idea to tear up Main Street,” said Inglish. In the end, most people I talked to said that hosting the Olympics was a net gain for Utah. Many people contributed with time, money, and energy to building up the image of Salt Lake as an Olympic city. Ten years later, Utahns find themselves reinvesting to keep that image alive. In the early 90's, a tourist from Germany was riding a ski lift in Park City as he confidently proclaimed that Utah would never host the Winter Olympics. "Because of the Mormons," he said. Less than ten years later, Salt Lake City welcomed the world for the Games. In the process, the way the world sees Salt Lake City has changed. Just as important, the way Utahns see themselves as also evolved. While Mitt Romney saw his job as primarily to get the 2002 Winter Games on a sound financial footing, he was also challenged from time to time by a perception that he - and the organizing committee he led - was dominated by The Church of Jesus Christ of Latter-day Saints. Romney tried to counter the perception that these would be the "Mo-lympics" with a glass of champagne. Actually, he was drinking orange juice, but sparkling wine filled every other glass at a news conference in March of 2001. Romney proposed a toast. "I toast the Olympic winter games of 2002 in Salt Lake City. I toast the unity they represent in our community. And I toast also the contributions of the many faiths, the many ethnic groups and the many individuals which combined - will combine - to host great winter games in 2002," Romney said. There were reasons Romney needed to counter that perception, and not just prejudice or misunderstanding from outsiders. Candy Thomson, a sports reporter for the Baltimore Sun, visited Utah several times in the run-up to the games. She found herself being escorted on a press tour by a group calling itself the Utah Media Center, which turned out to have close ties to the church. "We were taken up to Rice-Eccles stadium but told we couldn't take any pictures of it. It was a very strange day and it became clear that we weren't going to get our venue tours or anything else. They wanted to take us all to Mormon businesses. And so the reporter and photographer for the Seattle Times and I literally got out at a street corner, got out of the bus, and said We're not going any further. Bye,'" she says. Later, Thomson says she got a call offering an apology from Mike Otterson, the media spokesperson for the Church of Jesus Christ of Latter-day Saints. Otterson declined an interview for this story. Thomson says her next bus tour of the city was very different. This time, the guide was Salt Lake City's maverick mayor, Rocky Anderson. "We went on a pub crawl," she says, acknowledging that she'd rented a bus for the occasion herself. "Rocky took us all over town and showed us that we could get a drink at a Mexican restaurant and at a dance club and he even made a stop where he put on tights and made a walk-on at the opera house in the production of Carmen, which was kind of interesting," she says. As the games got closer and the competition finally began, Thomson says the best ambassadors Utah ever had weren't the ones seen on TV. Instead, it was the army of volunteers who saw to the needs of athletes, spectators and reporters - doing everything from making photocopies to providing aspirin and Pepto-Bismol. And, she says, they stepped in on other occasions where they were needed. "[There were] volunteers wearing buttons that said what language they spoke. I can tell you that, up at, I believe it was the bobsled run, we needed help with a translation and a volunteer stepped up and did a spot-on job. It was just fun to enjoy it with the volunteers," she says. The volunteers' reward for their service included a distinctive parka that became a trophy in the coming years. Sandy Kellogg was wearing hers when she came to the ceremony last week to re-light the Olympic flame at Rice-Eccles Stadium. Kellogg says she was excited to hear Governor Gary Herbert announce his plan to take a look at hosting the games a second time. "I'll never forget it," she says. "I mean, it's something that's just great to do, to be a part of something so prestigious and long-lived I just had a wonderful time. So yes, I would volunteer again." First time or second time, though, the idea seems just plain dumb to Steve Pace. He lives in Utah because he likes to ski, and he was among the few voices in the community opposed to hosting the Winter Olympics. Pace says there was no need to put Salt Lake on the map. "I think that the putting Salt Lake on the map' argument is kind of a way of saying, Gee, we're so insecure about who we are and what we've got that we've gotta have somebody, maybe with an accent from another country, come in and tell us that we're real.' I'm not that insecure about this place. I think it's pretty nice as-is," he says. Whether Utahns feel good about themselves is less critical to the Utah Travel Council than the attitudes held by potential visitors. Director Leigh von der Esch says they've tried to quantify those perceptions in recent years. "In 2005, we were hitting about, on a scale of 1 to 5, well below 3. And now, the people in our surveys about image, those numbers about Utah's exciting, Utah has cultural diversity, Utah has an entertainment scene, all are now over 4. So you can see that the image, just since the last six years has changed. But it was really teed up by the Olympics in 2002," she says. 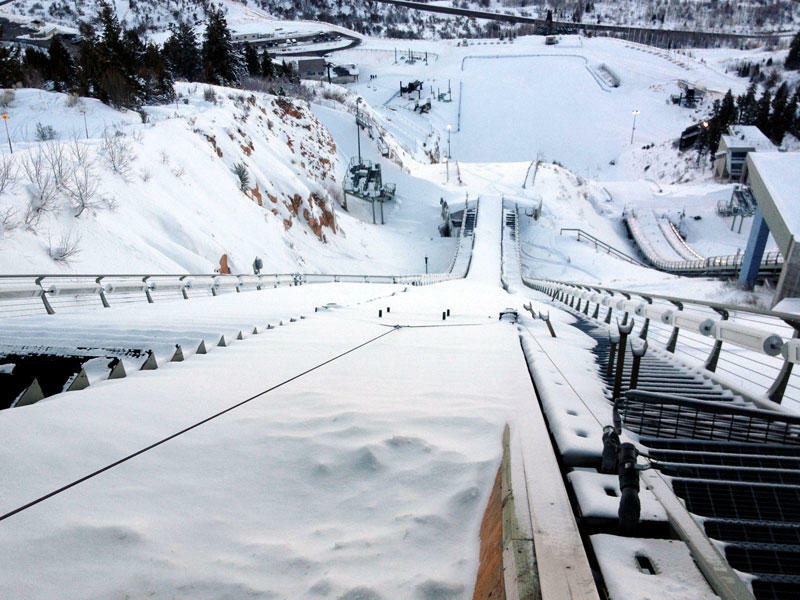 Von der Esch says TV coverage of the Winter Olympics also influences millions of people who will never come to Utah. But some perceptions are just hard to shake, Mitt Romney's champagne toast notwithstanding. "Y'know, the elephant in the room has always been the alcohol, can you get a drink," she says. "Having lived around the country myself, I feel we've been unfairly tarnished with more restrictive liquor laws than some other areas of the country. I think that's been unfair." In the end, it's clear the perception of Utah is changing as a result of the 2002 Winter Olympics, though perhaps not as dramatically as it did for one man who didn't know Governor Mike Leavitt was standing right behind him as the fireworks went off. Leavitt told his story to the crowd assembled to light the flame for the 10th anniversary of the games. "He stood up, threw his hands into the air and said, "Utah! Utah! Utah!" And then he turned around and, a little embarrassed, saw me. And he said, "Governor, I was against this and I was wrong." As Mitt Romney campaigns for the Republican Presidential nomination, he often tells audiences that he saved the 2002 Olympic games. While many believe Romney played an important role delivering the games in Salt Lake, not everyone labels him as a savior. In the fourth part of our series on Utah’s Olympic Legacy, we examine Mitt Romney’s role as a leader and how that experience re-invented his own political career. When Ken Bullock watches Mitt Romney in GOP presidential debates on television, he bristles when the candidate talks about his role in the 2002 Winter Games. “It’s the most offensive thing. I listen to these debates and it just makes me cringe not only because there was no saving that was necessary, but he really is robbing Utahns of the accolades. It becomes about him instead of about the games and Utahns and our state hosting the games,” said Ken Bullock. Today Bullock is the executive director of the Utah League of Cities and Towns, but in 1999 when Romney joined the Salt Lake Olympic Organizing effort as its leader, Bullock sat on the committee. At the time, the games were suffering from the aftermath of a bribery scandal and a projected 400 million dollar deficit, but Bullock says the desperate shape of the organizing effort was exaggerated. “Well I don’t think it was the crisis at all that it was portrayed. Yes – we hadn’t reached our revenue projections but we’re three to four years out and we hadn’t sold any tickets, the sponsorships were still being pursued. With the scandal, all of a sudden the leverage changed in which people had to have us be successful now,” said Ken Bullock. The bribery scandal did present an image problem for the games in 1999. Then Utah Governor Mike Leavitt was determined to find the right person to lead the games out of doubt and into success. “So I needed someone who could turn it around A person who could stand on the international stage and be viable and respected. A person who could turn the Olympics process itself around from just a dollar and cents point and then a person who raise and reignite the Olympic spirit again in Utah. And I think we got the right guy,” said Leavitt. Mitt Romney had lost a Massachusetts Senate race five years before to Ted Kennedy, but he had a reputation as a corporate turnaround guy. As he accepted the job to lead the games, Romney emphasized that he would move forward with is role stressing moral and fiscal discipline. “I’m immediately going to work with my staff as well to evaluate carefully the budgets that we have and make sure that we consider alternative budget levels, so that regardless of the revenue level we have, we spend within the amount of money that we take in. No shortfall, no shortfall is acceptable,” said Romney in his acceptance speech to the Salt Lake Olympic Organizing Committee. Romney got to work wooing corporate sponsors and repairing the image of the games. He hired his former Bain Capital partner Fraser Bullock – no relation to Ken Bullock – to be his Chief Operations and financial Officer. After accepting the job, Fraser Bullock worked alongside Romney every day for the next three years. He remembers Mitt’s frugal sensibility. “So the message was very interesting in that he said we watch every penny in this organization. And he turned what was a cost center into a profit center and that message permeated throughout our entire organization because we were poor. We didn’t have any choice and we watched every penny,” said Romney. Fraser Bullock maintains that Romney’s strong personality and unyielding work ethic restored the image of the games. “So he (Romney) hired his own team of several very capable marketing and sales people and he went around the country himself with those people to raise money himself. And so when I say he’s relentless if it needs to get done, he hires good people, he does the best that he can – but occasionally he’ll even step in and do it himself, because he will not fail,” said Fraser Bullock. Former Utah Senator Bob Bennett remembers Romney bringing both his business sense and political connections to the job. Just days after the game ended, Mitt Romney announced he would run for governor of Massachusetts, with the Salt Lake games as a prime example of his talents as an executive, but Ken Bullock says in the shadow of Romney’s self-proclaimed victory, the efforts of others who worked on the games are sometimes forgotten including Tom Welch, who engineered the Salt Lake Olympic bid and shouldered much of the blame for the bribery scandal. “He (Romney) was part of the success of the games. It’s not to say that he should not be recognized for a significant contribution, but I don’t believe for a second that he could have done what Tom Welch did. Tom had the passion and the vision and the commitment to travel around the world to go get the games,” said Ken Bullock. Mitt Romney returns to Salt Lake City this weekend to take part in a tenth anniversary celebration of the games that will always be associated with his legacy. In 2002, the world watched the Olympic flame light the cauldron in Salt Lake City, and they watched Olympians compete on Utah’s snow and ice. Since then, athletes from the US and around the globe have come to train here. On the first day of the 2002 Games, Derek Parra skated 5000 meters faster than anyone else in the world. But 10 years later, as he sits looking down at the ice where it all happened, it’s not the cheering of fans that sticks in his mind. It’s the silence from the night before, when he held the flag at the Opening Ceremonies. 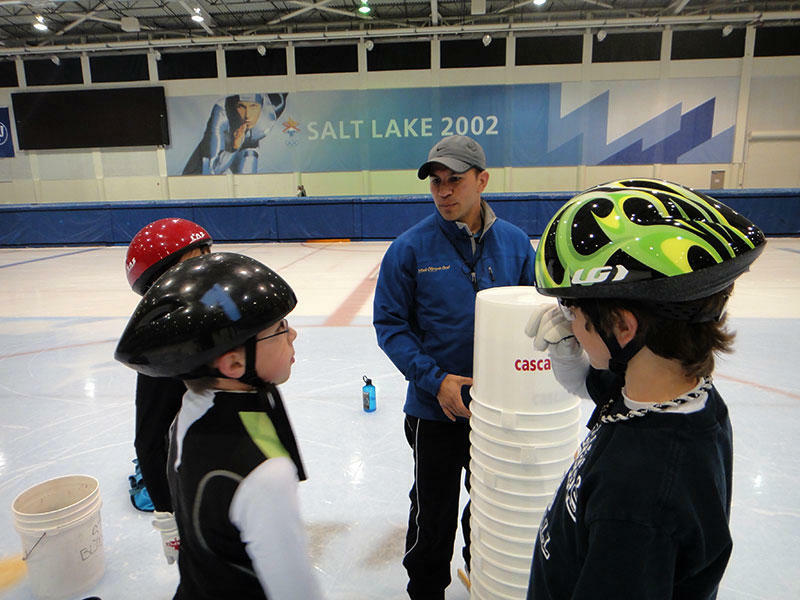 Parra - who is originally from California - is now the Outreach Coordinator at the Olympic Oval in Kearns. He says he still feels the spirit of the 2002 Games every day when he walks into the building. “I was in inline championships when I was younger, I won 18 world titles, I skated for years, and the spirit that was here for those 17 days has been unmatched in my life, and I think I identify now by trying to keep sharing that,” said Parra. On this evening, the Oval is a bustle of activity. 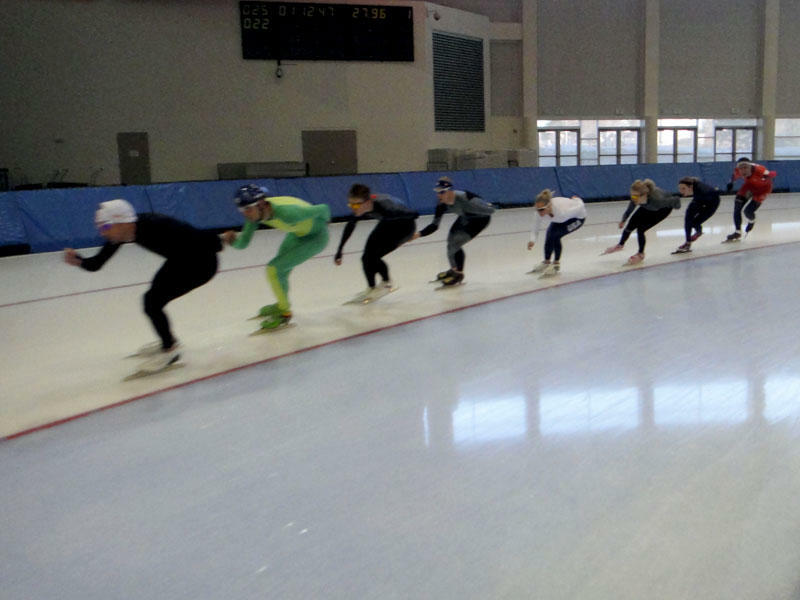 Skaters from Italy, Holland, and Kazakstan are skating around the long track, preparing for a World Cup. 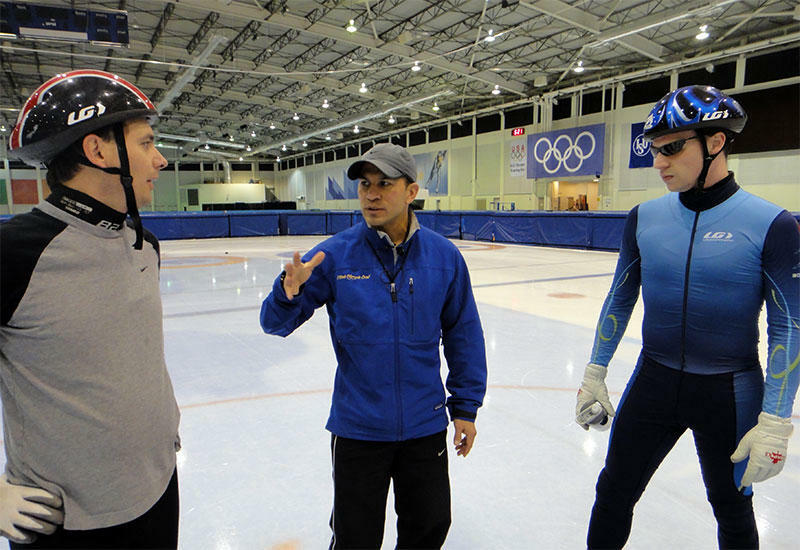 On the short track, Parra is teaching a speedskating class with students of all ages. He stops to give a teenage skater some individual attention. Eight-year-old Max Solin is here on holiday all the way from Australia. He jumped at the chance to train with an Olympian. “I may go to the Olympics if I’m good enough… probably in 2026, that’s my goal,” said Solin. Parra says most of the students in the class are from the local area. Some just use the Oval for fun, and some might even go on to become top competitors. 17-year-old speedskater and Olympic hopeful Jerica Tandiman is one of those kids who grew up with the Oval in her backyard. She sits down after her morning practice at the Oval – still outfitted in her sleek black body suit, and remembers the days before the Olympics, when the Oval was an outdoor facility. “We’d be all in our snowsuits, skating around falling, having fun as little kids, and then, once they built this into an indoor facility, my mom signed me up for learn to skate, and I just fell in love ever since,” said Tandiman. Tandiman was 7 years old when the Winter Games came to Utah, and still remembers the Olympic torch coming through her neighborhood. “That really inspired me to start skating - watching the Olympians - and I knew that’s what I wanted to do was race and be an Olympian someday,” she said. When you visit the venues, you get the impression there are lots more like Tandiman. While taking a tour of the Olympic Park, I got to see a luge athlete push off from the top of the track. He snapped his visor shut, rocked back and forth… and he was off. In the warming hut, Trent Matheson from Bountiful says he was 12 years old when the 2002 games came to Utah. “That’s actually when I kinda’ got involved in luge. I saw men’s singles then and, you know, I thought luge was pretty cool,” he said. Pretty cool, and now Matheson is on the US team. But it’s not just locals who are catching the Olympic fever. There are many who have come from all over the country and the world to train. Since the Olympics, the national governing bodies of speedskating, bobsled, and skeleton have moved their headquarters here. And forty percent of the Olympians who participated in the Vancouver Games live in Utah. Former Salt Lake City mayor DeeDee Corradini says that’s no accident. “Back when we were going for the 1998 bid, the decision that the bid committee made was we wanted to become the winter sports capital of North America whether we won or lost the Olympics….and we are,“ she said. Corradini is the President of Women’s Ski Jumping USA and has been a leader in getting women’s ski jumping included in the Olympics– a movement that began here in 2002. Corradini says it was meeting top ski jumper, Lindsay Van of Park City, that made her want to get involved. “It was just beyond me that in this day and age women still couldn’t ski jump. Here in the United States, we have one of the best teams. And they’re all in Park City, not all of them, but 90 percent of them,” said Corradini. The Olympic venues provide training grounds for elite athletes from Utah and around the world, but the Park and the Oval are also accessible to those of us who don’t have skills in winter sports. For visitors to the Park, anyone can take a bobsled down an Olympic track. In the warming hut, Robert Lyon – formerly on the US team - is getting ready for his evening shift giving rides to the public. Lyon was born and raised in Park City, and says he’s grateful to have an Olympic venue so close to home. “We’re still one of the best facilities in the entire world, and everyone knows that and everyone comes here to train. So It left an amazing impact I think in this community. Everyone would tell you in the towns of Salt Lake and Park City that we would love to have it again someday,” he said. Lyon may get his wish. Utah Governor Gary Herbert has formed an exploratory committee to determine whether Utah should pursue an Olympic bid for another winter games.